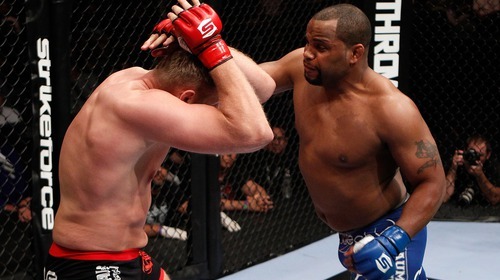 Strikeforce: Barnett vs Cormier from May 19, 2012. Daniel Cormier vs Josh Barnett Strikeforce: Barnett vs Cormier May 19, 2012 (49:30) Daniel Cormier took on Josh Barnett in the final of the Strikeforce Heavyweight Grand Prix. 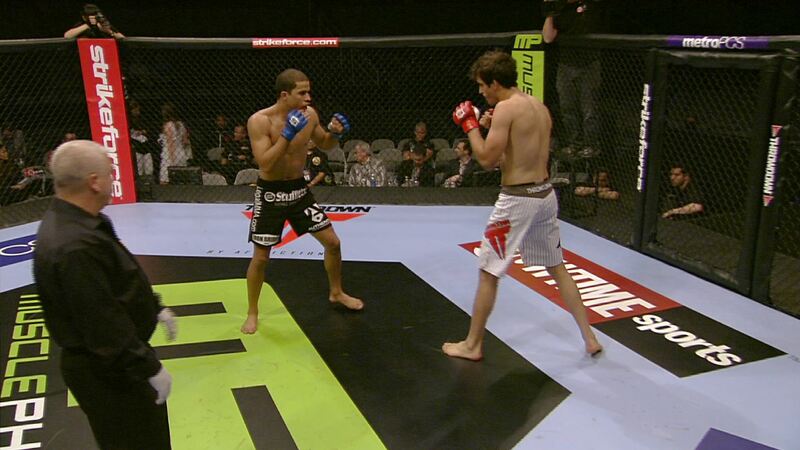 Gilbert Melendez vs Josh Thomson Strikeforce: Barnett vs Cormier May 19, 2012 (45:37) Gilbert Melendez and Josh Thomson met for the 3rd time after splitting the first two contests. 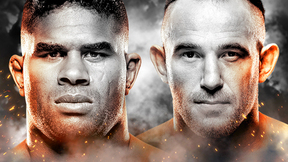 In this trilogy ending bout, Thompson looked to dethrone Melendez and claim Strikeforce gold. Rafael Cavalcante vs Mike Kyle Strikeforce: Barnett vs. Cormier May 19, 2012 (11:17) Scoring his 11th KO/TKO win in his last Strikeforce bout, former Strikeforce light-heavyweight champ Rafael "Feijao" Cavalcante readied for a fan-friendly fracas with power-puncher Mike Kyle with his 19-8-1, 1NC pro record with 12 KO/TKO finishes. Chris Sprang vs Nah Shon Burrell Strikeforce: Barnett vs. Cormier May 19, 2012 (10:17) Riding a 3 fight win streak in the Strikeforce cage, Nah-Shon "The Rock-n-Rolla" Burrell was gaining a lot of momentum in the welterweight ranks as was set for a stand-up scrap with striking specialist Chris "The Kiss" Spang with his 4-1 pro record. Isaac Vallie-Flag vs Gesias Cavalcante Strikeforce: Barnett vs. Cormier May 19, 2012 (25:45) Both fighters were coming off decision wins in their last Strikeforce bouts as Blackzilians' top talent Gesias "JZ" Cavalcante with his 16-4-1, 2NC pro record tangled with Team Jackson's Isaac Vallie-Flagg who was on a great 10 fight unbeaten streak. Carlos Austo Filho vs Virgil Zwicker Strikeforce: Barnett vs. Cormier May 19, 2012 (24:57) Scoring a TKO win in his last Strikeforce bout, Virgil "Rezdog" Zwicker with his 10-2 pro record including 7 wins via strikes was set for a stand-up scrap with debuting former Brazilian kickboxing champion Guto Inocente with his 5-2 MMA record. 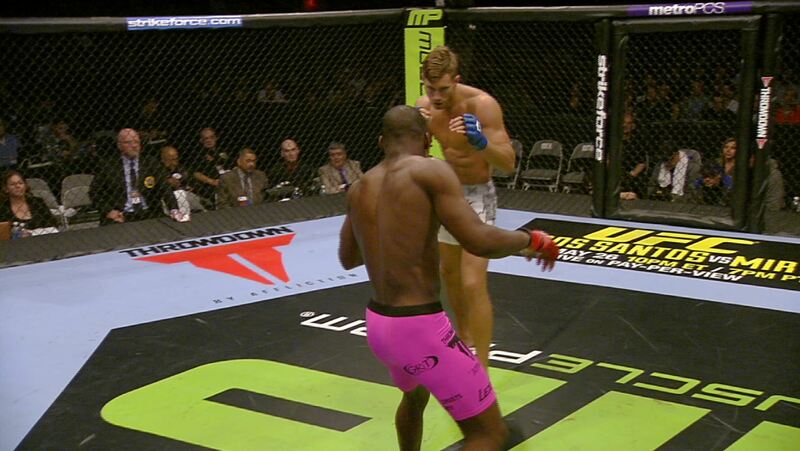 Gian Villante vs Derrick Mehmen Strikeforce: Barnett vs. Cormier May 19, 2012 (24:32) With back-to-back wins in the Strikeforce cage, former college football standout Gian Villante, who owned six of his nine wins via KO/TKO, was aiming for a brawl with heavy-handed Derrick "Caveman" Mehmen, who had nine of his 12 wins come via punches. Quinn Mulhern vs Yuri Villefort Strikeforce: Barnett vs. Cormier May 19, 2012 (24:18) With back-to-back wins in the Strikeforce cage, BJJ blackbelt Quinn Mulhern with his 17-2 pro record including 11 submissions was set to tangle with debuting proven-finisher Yuri Villefort with his perfect 6-0 pro record with 5 of his wins by stoppage.